If you love cooking and trying new recipes that you learned on TV in your kitchen, you will definitely know this talent chef. 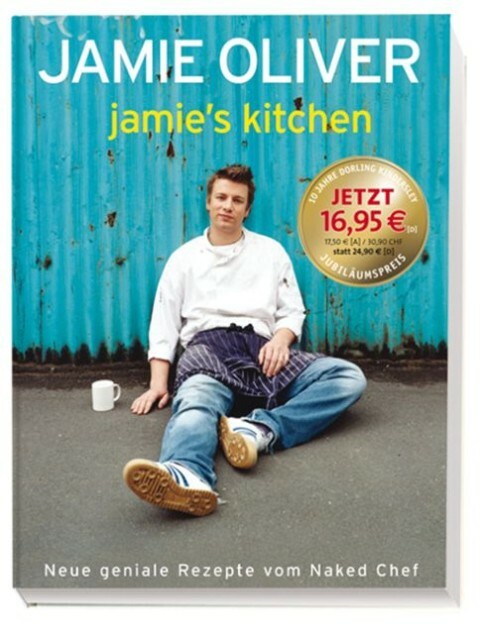 Jamie Oliver is a phenomenon in the world of food. He is one of the world’s best-loved television personalities and one of Britain’s most famous exports. He had huge success with television series and has inspired people to spend more time enjoying being in the kitchen and growing their own food. Born in 27 May 1975, Jamie took an early interest in food. He grew up in Essex, where his parents still run their own highly respected pub/restaurant The Cricketers in Clavering and was frequently found helping out in the kitchens. At 16 Jamie left school and completed his training at Westminster Catering College. After spending some time working in France, Jamie joined the acclaimed River Café where he worked for three and a half years alongside Rose Gray and Ruth Rogers. In 1997, Jamie was featured in a television documentary about the River Café. 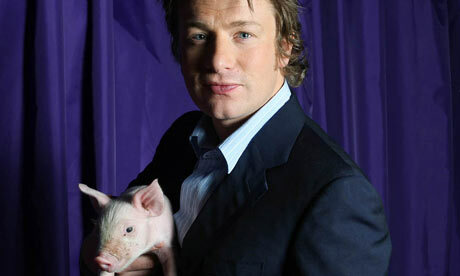 Soon after the documentary was aired, Jamie was offered his own television show and The Naked Chef was born. It was like a breath of fresh air, inspiring everyone to cook and winning himself a BAFTA Award for the best television series in the Features Category in 2000. The Naked Chef book accompanied the first television series and became an instant bestseller. A second and then a third television series were commissioned by the BBC, along with the second and third tie-in books: The Return of the Naked Chef and Happy Days with the Naked Chef, with Happy Days with the Naked Chef becoming the official Christmas No.1 in 2001 in the non-fiction chart. In autumn of 2001, his cookery show on the road – the Happy Days Tour was a huge success with over 17,000 people packing theaters in the UK. It then took in Australia and New Zealand, where Jamie played to sold out crowds in seven cities. 2001 also saw Jamie cooking for the Italian Prime Minister at Tony Blair’s invitation at Downing St and also writing various columns in magazines including GQ and The Saturday Times magazine, bringing his recipes to another eager audience. By the end of 2001, he decided to open a training restaurant for young people who were not in full time education or employment. Followed by cameras that documented his every move setting up a training scheme, the restaurant and the charity into which all the profits would be channelled. The series Jamie’s Kitchen, became one of the biggest hit shows of the year. It has now been shown in over 40 countries and the tie-in book, also called Jamie’s Kitchen, became a runaway success and won several awards. In 2004, motivated by the poor state of school dinners in UK schools, Jamie went back to school with the aim of educating and motivating the kids and dinner ladies to enjoy cooking and eating healthy, nutritious lunches instead of the processed foods. He launched a national campaign called Feed Me Better and an online petition for better school meals. As a result of the 271,677 signatures on the petition, the government pledged an extra £280 million to improve the standard of school meals, to provide training for dinner ladies and equipment for schools. Over seven months of hard work and constant filming culminated in the award-winning series Jamie’s School Dinners. The series was awarded Best Factual program at the UK National TV Awards. Jamie also received a special award for his contribution to television at the National TV awards. A follow-up documentary, Jamie’s Return To School Dinners aired in September 2006 and as a result of Jamie’s new findings the British government made further investment in school meals and food education for school children. Between these two documentaries, in 2005, Jamie took a break from schools with Jamie’s Great Italian Escape which based on his travels around Italy and his love of Italian food. His sixth book, Jamie’s Italy which instantly went to number one in the UK and was also nominated for the British Book Award ‘Book of the Year’ in the UK. Jamie also works with top UK supermarket chain, Sainsbury’s, advising them on how to further improve the quality and variety of supermarket food. He has also designed a number of ranges of quality tableware and serveware with Churchill China. Working with Tefal (T-Fal), he has launched a number of ranges of cookware, an Italian food range and has a wide range of gift foods, which are distributed internationally. He has turned inventor and developed a great kitchen gadget called the flavor ShakerTM, which launched in the UK in 2005 and then internationally. 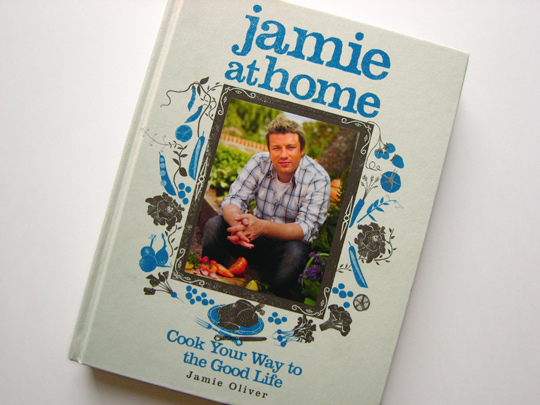 Jamie’s seventh book, Cook With Jamie was published in October 2006 and quickly became a massive best-seller. All of Jamie’s profits from this book go to the Fifteen Foundation to help more young people to start a career in the catering industry. Through 2006 and early 2007, Jamie filmed a series and wrote a book both called ‘Jamie At Home’. The book and series reflected his new love of gardening organically as well as featuring delicious recipes inspired by the produce of his garden. The series ‘Jamie At Home’ became a hit in the UK and in a variety of international markets while the accompanying book ‘Jamie At Home’ also proved to be one of Jamie’s biggest sellers both in the UK and overseas. 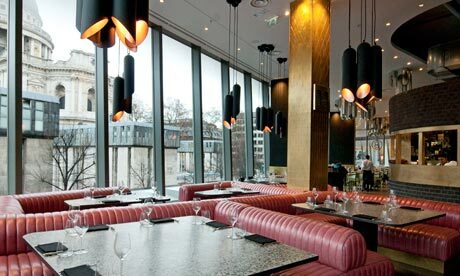 In autumn 2007 Jamie announced a new chain of “high street” Italian restaurants called ‘Jamie’s Italian’, the first of which opened in Oxford in May 2008. Restaurants in Bath and Kingston followed that first year and subsequent Jamie’s Italians have proven to be firm favorites with people. Jamie’s Italian also has a restaurant in Dubai. Jamie began in 2008 two TV programs in the UK. Eat To Save Your Life used expert analysis as well as an autopsy by Dr Gunther von Hagens on a 25-stone man to try to change the dietary habits of a group of malnourished Brits. Meanwhile Fowl Dinners was an in-depth and challenging look at the British poultry industry with a message that unless British consumers were prepared to trade up to a higher welfare chicken and egg, the British poultry industry would suffer irreparably. Jamie’s major project for 2008, however, was Jamie’s Ministry of Food, a TV series which showed how people who couldn’t cook could be inspired to cook with just a little encouragement and information. Additionally, a Ministry of Food center in the town center has been providing information, cooking lessons and advice to the townsfolk who want to move away from take-aways and ready-meals. After that success, a second Ministry center opened in Bradford and a third in Leeds. Many other UK councils are seriously looking at opening similar centers to try to halt Britain’s growing obesity problem. A book, Jamie’s Ministry of Food was published by Michael Joseph in October 2008 and became one of Jamie’s most successful books both in the UK and internationally. In early 2009, Jamie was typically busy. On television he tackled the issue of pig welfare and the need to champion British pig farmers in the one-off program Jamie Saves Our Bacon. He also announced a new high street cooking shop project called Recipease, the first of which opened in Battersea/Clapham Junction in February followed by a second shop in Brighton in May. On April 1st, Jamie had the great honor of cooking at 10 Downing Street for the third time in his career, this time for the assembled world leaders in advance of the G20 talks. He and a group of graduates and an apprentice from Fifteen London cooked a menu showing off the best of seasonal British food. Jamie spent much of 2009 in the USA, first making a series for Channel 4 (and overseas markets), Jamie’s American Road Trip, during which he visited Los Angeles, Wyoming, New York, Louisiana, Georgia and Arizona and discovered these places’ culture. An accompanying book, Jamie’s America, became Jamie’s 10th best-seller. Late in 2009, Jamie launched an iPhone app called 20 Minute Meals which quickly became a best-seller. 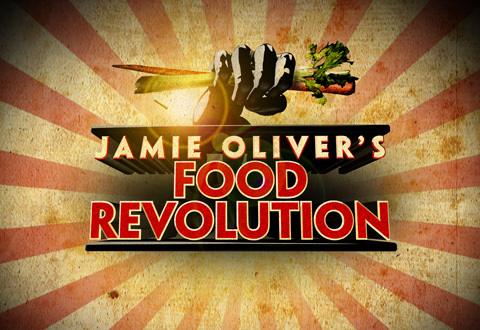 Later that year, he returned to America, this time to West Virginia, to start his first major network series for America television, “Jamie Oliver’s Food Revolution”. He appeared on Oprah to launch the campaign and became the recipient of the prestigious TED award for 2010 at a ceremony in California and in August 2010 the Food Revolution series received an Emmy Award for Best Reality Series. Back in the UK Jamie launched a new book and TV series: Jamie Does… early in 2010 which saw Jamie seeking out fresh inspiration from countries he visited on cheap short hall flights from the UK, to discover authentic recipes and flavours. Autumn 2010 saw Jamie’s first foray in UK “daytime television” with the launch of 30 Minute Meals, a daily TV series in the UK which aimed to show cooks of all levels that by simply using their kitchen kit cleverly, they could get not just one dish but a whole meal on the table in half an hour. The book “Jamie’s 30 Minute Meals” became Jamie’s best- selling book to date and the fastest selling book of all time in the UK, passing the one million mark just before Christmas 2010. On November 3rd, Jamie and renowned American chef Adam Perry Lang opened Barbecoa restaurant at the One New Change development next to St Paul’s Cathedral. The restaurant specializes in traditional cooking methods using wood, charcoal and smoke. Quick tip: How to avoid onion eyes? I think he is one of the most popular and down to earth chefs out there. Nice post.